The goal of any automotive detailing professional is to make a car as beautiful on the outside as it is on the inside. Detail King makes it easy to get the right car detailing supplies at the best price to make every element of the exterior of a car shimmer and shine. From car wash soap to wheel cleaner, our extensive product line can make chrome shine and glass glisten. 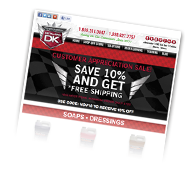 The professional products available at Detail King are the best in the business, coupled with our unbeatable prices and our dedication to customer service; we want to make Detail King your home for car detailing supplies. 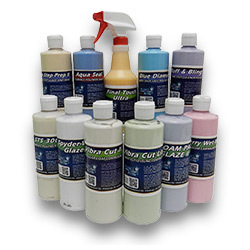 Our specially formulated line of exterior car wash soaps and multi-purpose cleaners can be used on all types of vehicles including passenger cars, limousines, RV’s, tractor trailers, boats, buses and even commercial vans and cube trucks. We have the right “soapy solution” that will cut through basic road grime found on passenger vehicles and the more intensified grease and grime that attaches to commercial vehicles. From the components of the vehicle that are affected by mother nature to the components that are affected by travel, Detail King’s exterior auto detailing products are component specific and will not only help transcend the vehicle’s appearance but many will also protect it! 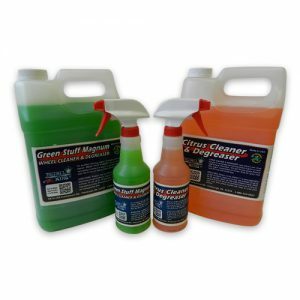 Our wheel cleaner and degreasers are great for removing serious ground-in brake dust and grime and will save exhaustive labor time during the wash and prep. For a better wash up and one that will save time shop Detail King for professional grade, time saving exterior auto detailing supplies! Detail King’s exterior professional-grade car soaps & cleaners are all VOC compliant, 100% biodegradable and environmentally friendly and most are even fruit scented! In addition to working guilt-free within the environment, we know that auto detailing is incredibly labor intensive. So anything we can do to save labor time by utilizing superior detailing products is just another plus. With that in mind, we gave our chemical blender the task of improving each and every one of our soaps and car degreaser formulas. As a result of that edict, Detail King automotive cleaners and degreasers are even more concentrated than our original formulas. And as a bonus, we made sure that our tire and rubber dressings set up even quicker and last longer. 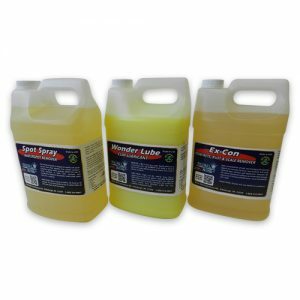 Our premium Non-Silicone engine and rubber dressing is chemically formulated to offer a better, long-lasting gloss and of course is safe to use in engine compartments. 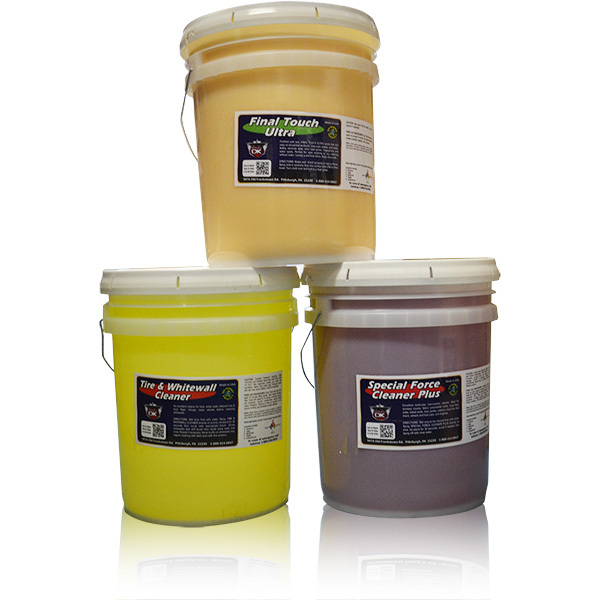 Our exterior auto detailing chemicals are available in one and five-gallon pails, and for the high volume detail shop available in money saving 55 gallon drums. 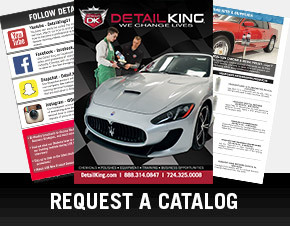 Also, we recommend looking over our Auto Detailing Methods and Procedures Guide. This is a very informative seven page online document that will assist you with the correct detailing chemical product to use and the brush choice that will work best with the component of the vehicle to be cleaned. When it comes to making bulk purchases of exterior chemicals, don’t be penny wise and pound foolish! 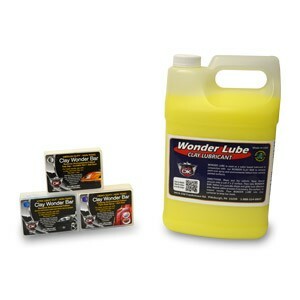 You might save a buck here and there on automotive detailing chemicals from other suppliers, but guess what? You’re going to use twice as much of their product and you’re going to have to expend twice the labor. 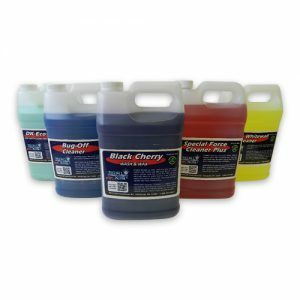 With Detail King, you can find almost all of our auto-detailing chemicals available in pint size. 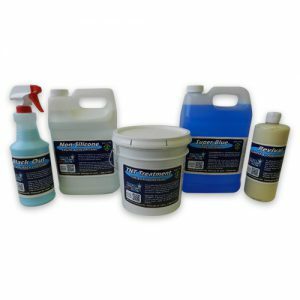 You can choose individual pints or order our one of our sample kits so you can determine for yourself if our products work best.What we think is going to happen is that you’ll love our professional grade exterior cleaning and detailing chemicals and dressings. And while you’re at it, you might as well sign up for our free newsletters, special offers, discounts and private sales. 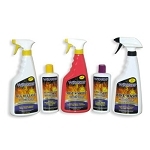 All of our exterior auto detailing soaps and cleaners are VOC Compliant and 100% biodegradable. They are also very concentrated, fruit scented and are environmentally friendly. 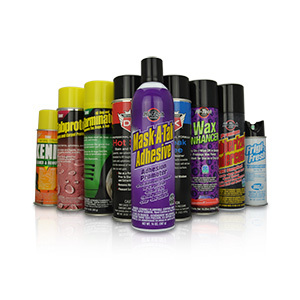 Our automotive degreasers are all super concentrated, 100% biodegradable, VOC Compliant and great to use on very dirty wheels, wheel wells, engine compartments, door jambs, bed liners and dirty white convertible roofs. Auto Detailing clay bars clean paint better than just washing the vehicle. 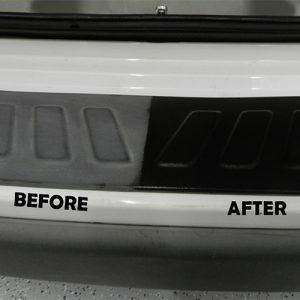 Detailing clay was formerly developed for professional auto detailers but detail clay has made its way into the garages of car enthusiasts and the do-it-yourselfers. 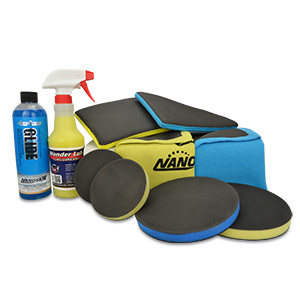 Nanoskin Autoscrub clay towels, pads and wash mitts are designed to remove the above-surface bonded contaminants from your vehicle's painted finish. It's important to remove these contaminants before you polish, wax or seal. 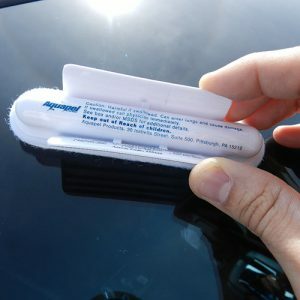 Our professional aerosol auto detailing sprays feature the very best foaming streak free glass cleaner and instant spray magic for grills, windshield cowls and hard to reach areas that need conditioned. Aquapel Repels rain for remarkably improved vision, makes it easier to clear ice, snow and dirt. Aquapell can also reduce glare in the rain, especially at night and it helps reduce water marks along with keeping down salt water. 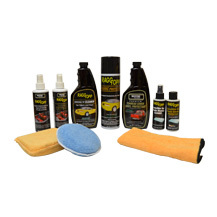 RaggTopp Convertible Roof Cleaning products and Convertible Top Conditioners has been endorsed by Haartz Leather Corporation. Detail King has a great selection of RaggTopp products. Detail King exterior auto detailing soaps, cleaners, degreasers and tire dressings are VOC Compliant and 100% biodegradable, scented like fruits and available in 5 gallon pails.